We often talk about websites being compromised and injected with malware that redirect users to exploit kits. We unfortunately don’t give you a complete picture of what the distribution payload is doing on your local machine very often. Today we’ll try to improve that analysis by giving you a more complete picture of the full life cycle of a specific distribution payload. In this example, we’ll be showing you how an attacker is injecting a site with a dynamic iFrame generator, which then attempts to install a malicious payload on your machine. More importantly, we’ll show you what that file is doing locally. This means that out of 46 engines, only 1 detected those samples, AVG on the first one and Fortinet on the second. This doesn’t mean that it you won’t be protected at the end-point, but it does mean that they are not able to detect this distribution payload. We wanted to see if they are using the same payload each time, and it appears they are. Unlike most of our other research, we decided to see what it might be doing at the end-point. Special thanks to Jerome Segura of Malwarebytes for the help on this front. The first sign of fraud should be the domains. 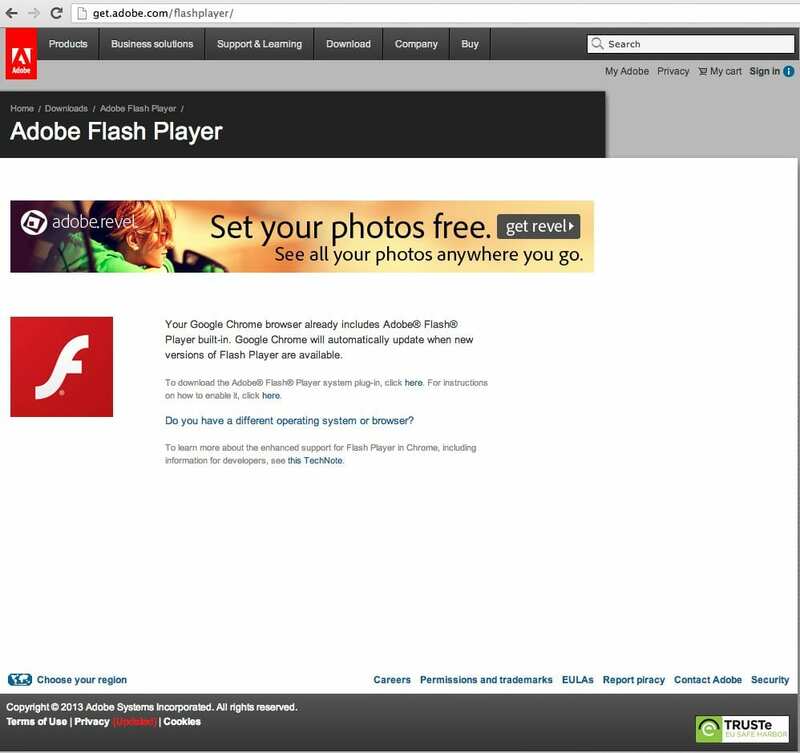 The fake one is coming from hxxp://graphicsspecialistsgroup.com/adobe/ and the real one comes from get.adobe.com/flashplayer. 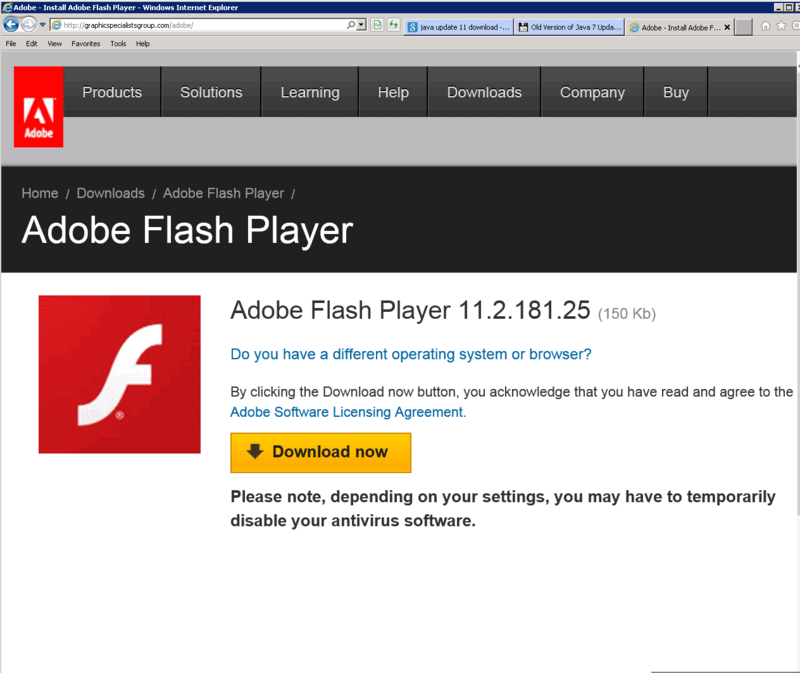 When the user clicks on the download the browser will download a file called update_flash_player.exe. This file is being stored on the compromised server and is located in the same directory mentioned above /adobe. When the user installs the payload, it performs a silent install. There are not actions required by the user, unclear why but it kills the Windows Rundll32 library, then it goes silent. There is no other action to show that something has occurred and to the unsuspecting user it would seem as the update went flawlessly. This is where our friend Jerome comes into play, he was able to point us in the direction of a few resources that would help us better diagnose what the payload was doing. Surprisingly, when we checked with VirusTotal to see which end-point solutions would detect the payload, only 10 of the 46 players detected. Any of these names ring a bell? What you have here is a perfect example of a payload looking to harvest the data you are storing in your local clients, both browser and FTP. As you can see, this type of malware goes the full circle. It compromises websites and use them to infect desktops. Once a desktop is infected, it will use it as part of their botnets, and if the owner of the desktop also has a website, it will use that to inject malware as well. Our SiteCheck scanner detects this type of injection so if you suspect your site has been compromised, you can check it in there. Presumably you should never have to disable your antivirus software to update applications? And would antivirus software such as Norton pick this up? Very good article, and it has convinced me that I want to disable the editor on all my WordPress sites! Did you test this with *nix computers as well? I am a bit curious on whether they’d also put in the effort to harvest those. thank you share, the information will be useful to protect tooibaor good for my computer. Great research, reverse engineering and thanks for your detailed findings.